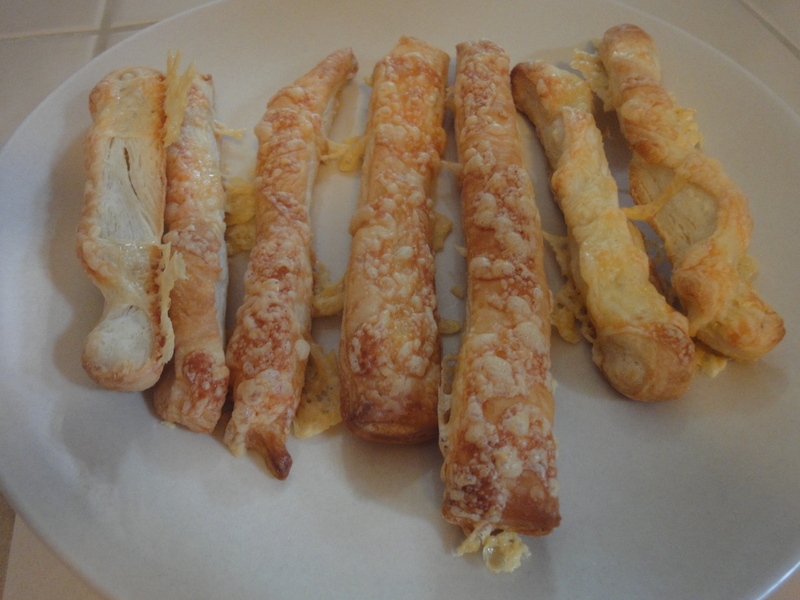 This weekend, I did my favorite kind of baking: cheese straws. Simple. Quick. Delicious. Now I’ve blogged before about my un-Martha-esque (or un-Nigella-esque, or un-Gordon-esque, or un-Jamie-esque) comfort level in the kitchen, but thanks to the invention of frozen puff pastry, cheese straws are one item that I can make in a mad dash, while simultaneously juggling a half a dozen other tasks. 1. Defrost puff pastry from freezer. I like the ready-to-roll puff pastry from Trader Joe’s. 3. Slice in long strips. 4. Sprinkle with shredded cheddar (or whatever cheese you fancy) and ground black pepper. 6. Take out of the oven after 10 minutes or so or when they look golden brown. 7. Serve and feel like Martha, Nigella, Jamie or whoever is your favorite celebrity (or non-celebrity) chef, as the cheese straws are scoffed up in minutes. 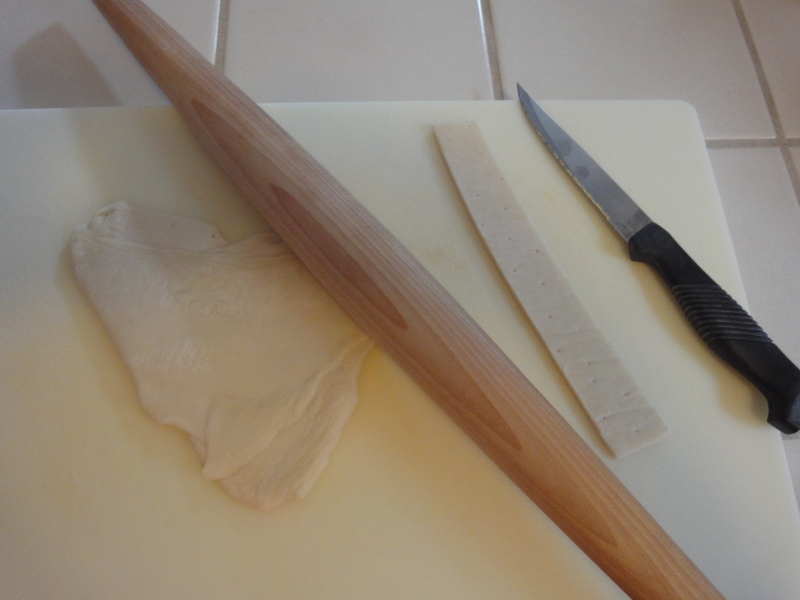 Posted on 21, November 2011, in Food and tagged cheese straw, easy cooking, recipe. Bookmark the permalink. 2 Comments.